So what was your first car? Was it a beater? What quirks did it have? How much did it cost? Did you learn to drive in your first car? Popular first cars are tipically Honda, Nissan, Chevrolet and Volvo. but my first manual was a 99' Honda Civic Ex. my first car was a 1976 bmw 2002. stick shift. it was 16 years old and i purchased it for $2k. '74 Ford Maverick "Grabber' edition. Last edited by Snip's; 05-25-2017 at 12:43 PM..
First car I bought with my own money after graduating from college. Still have it. 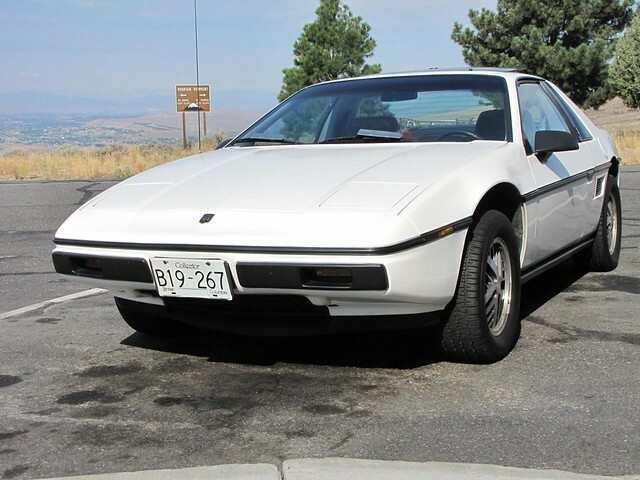 An early build 85 Pontiac Fiero V6 4 speed manual. Ordered it before GM made the decision to build a V6 model. So not yet priced. In the end, it was 12,000 CDN. I got my first car after having my license for exactly 10 years, and it's the MINI I still own. Who knew a spam bot could spawn a good thread? 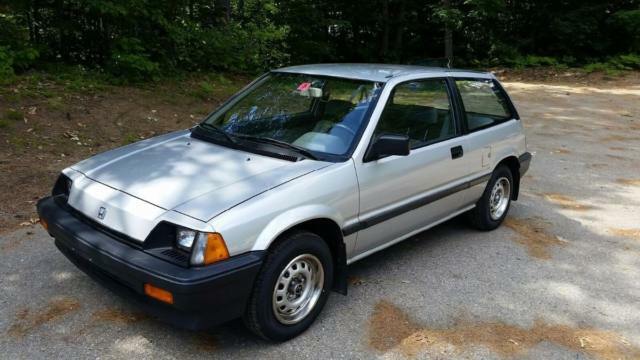 First car for me was a 1984 Honda Civic, base model with the 1300cc motor (3 barrel carb) and a 4 speed manual. I loved it. Bought it in 1986 for $4000. The good: decent handling, fun bark (straight pipe exhaust), reliable, and easily capable of 40+ mpg. The bad: no AC, vinyl seats, just a 4 speed. I'd love to have it today, but sadly it gave its life for mine when hit in the side and crushed into a light pillar. Most of them have sense suffered a similar fate or rusted into history. Last edited by brh0404; 05-25-2018 at 04:35 PM..
just testing....thought the image might still be there. '49 Mercury that Dad bought me in '64 for $50. Junked it when I went into service two years later. Learned to drive in Dad's '47 Chevy Fleetmaster. First car I bought myself was '57 Alfa Romeo Spyder. Turned out to be a bad choice for a one striper. Dern - a '49 Mercury? Old school goodness!